My eyes are closed in one of my proof photograph signifying many things - firstly I am exhausted from the move my lovely fiance and I made this weekend into our first home together. It's a little bit of paradise and I will blog about it soon and send some photographs - secondly I'm about to partake of this wonderful little hors d'oevres that I prepared today after a very late night out. We were planning to give it a miss but then did not want to incur the wrath of my brother. What decided us was that for some unknown reason the promised electricity was not switched on !!! So, a night out was better than sitting in a dark house - and furthermore, we had a great night out. 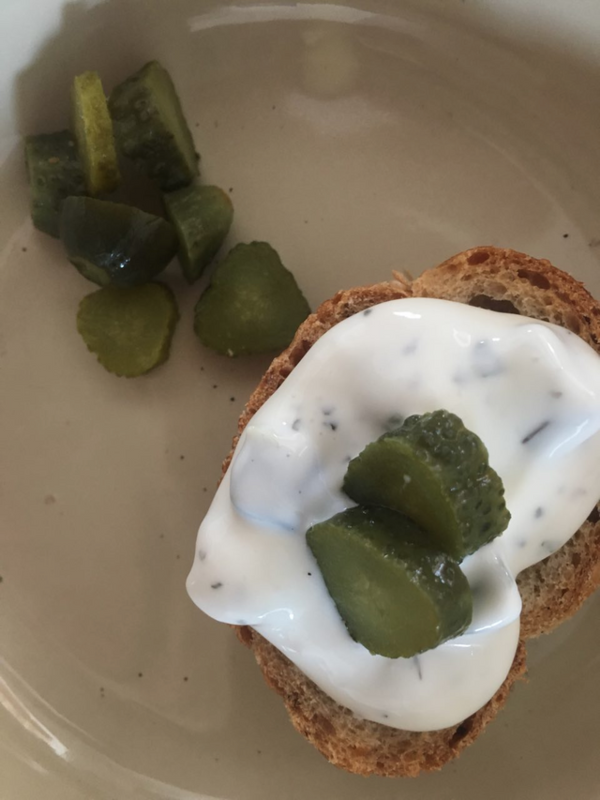 Tsadziki is pretty simple to make - just grate the cucumber, and drain in a colander to remove excess liquid - add some crushed garlic and Himalayan salt and pepper and add yoghurt - simple as that. 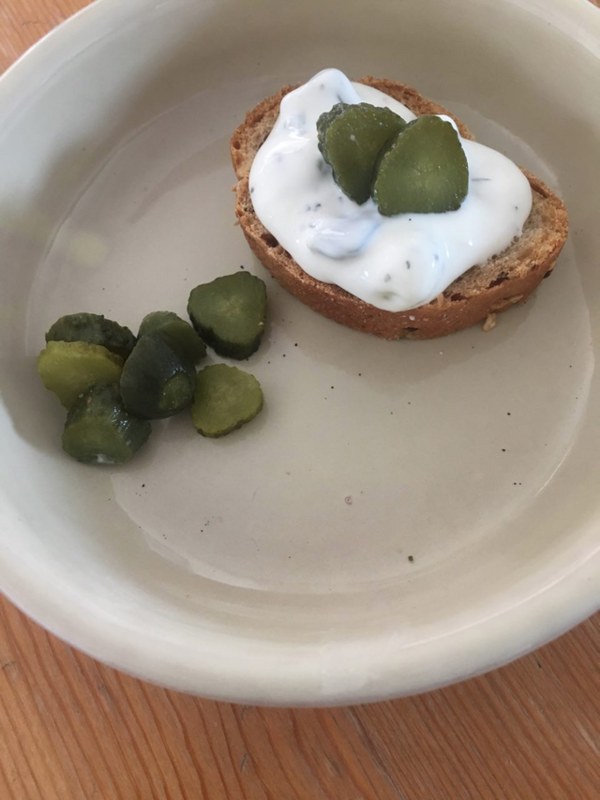 I added some sliced baby gherkins for decoration. Great choice for a no power hors d'oeuvres! 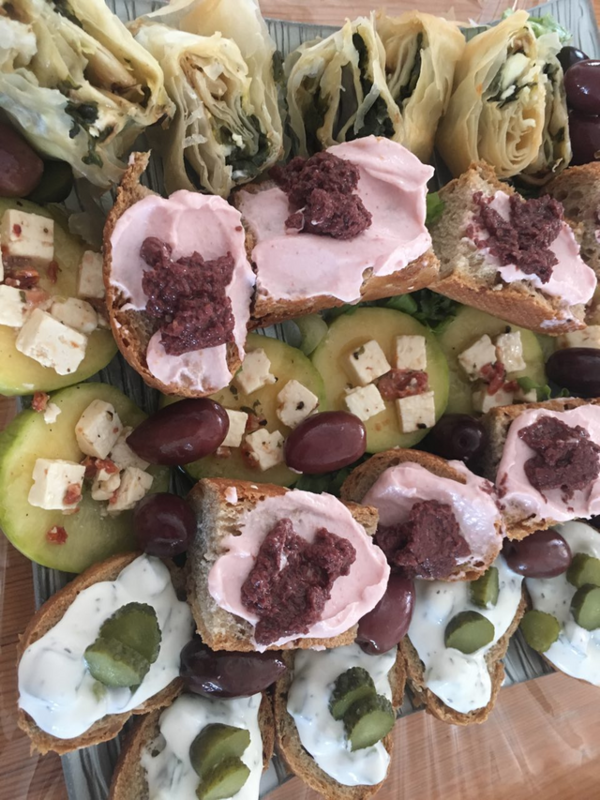 The tsadziki on toast looks absolutely perfect and refreshing for a hot summer day. I love the photo too of the whole spread of hors d'oeuvres! That looks like a great party platter. Congrats on your new home! That is very exciting news. Thanks for your entry! 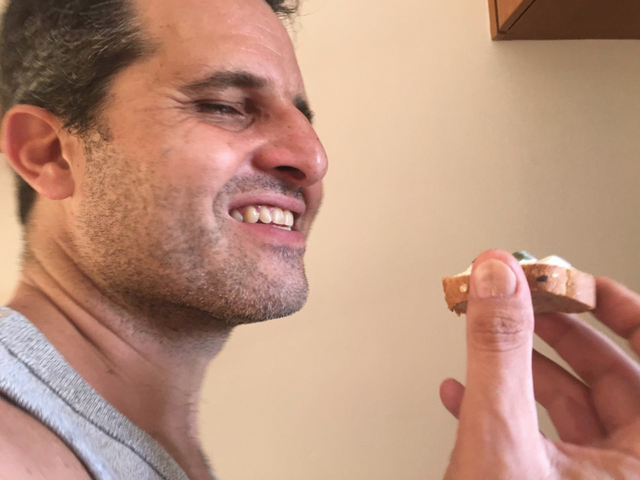 I really can't say 'no' to tzatziki. It's so refreshing and livens up the eating experience. Simple dish yet so enjoyable for an appetizer. 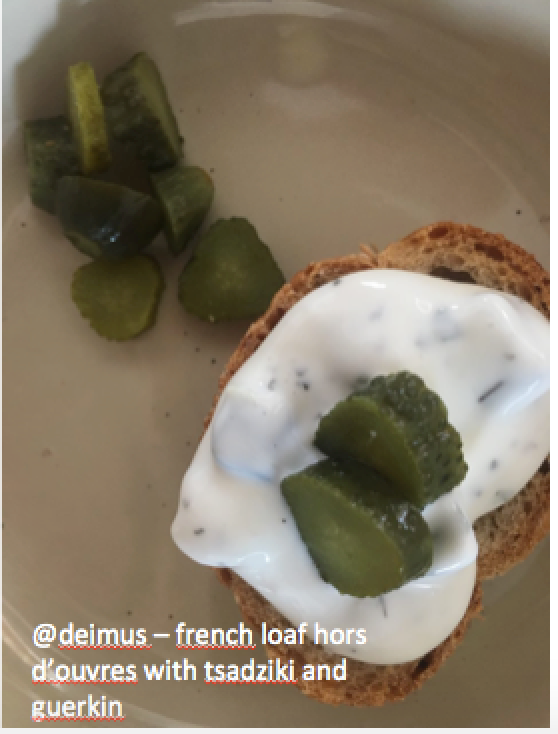 Thanks so much for your entry @deimus! Also, congratulations on the new place! Fun!